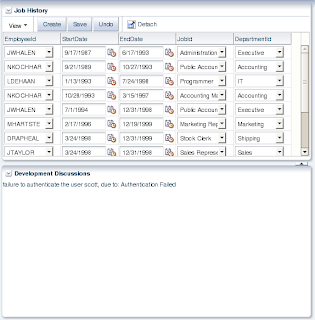 It happens to develop such screens, where users can browse through table rows, select any row and using related form update selected row data. 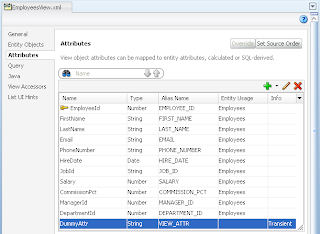 Thinking from pure end-user approach, when data table contains many columns, sometimes its easier to edit row data in separate form. 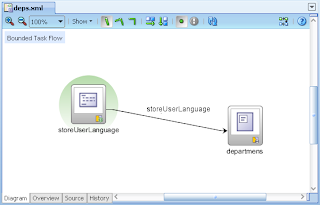 Everything is fine with this approach, however there is one thing that can be confusing to the end-user. 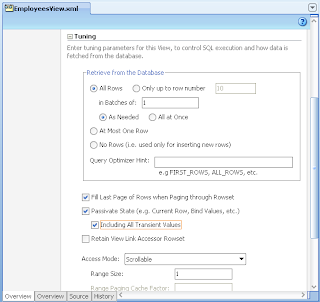 Let's say, user is editing row data and then suddenly selects another row from the table, without saving changes from previous row. 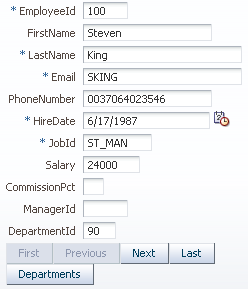 In such way, user can end up with changes in many rows and will loose track what should be saved and what reverted. This use case is from real life. In order to avoid user confusion with changes in multiple rows, I have developed sample application - TableAutoCommit.zip. 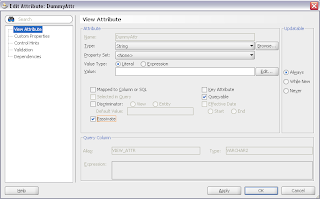 This application implements read-only table and editable form, which brings data from currently selected row. 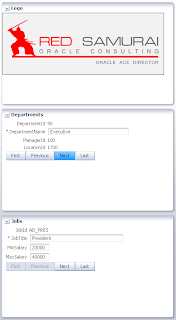 Main trick - if user will edit data from selected row and will select another row without saving or reverting his changes, changes will be saved automatically - this will allow end-user to keep track of his changes easier. 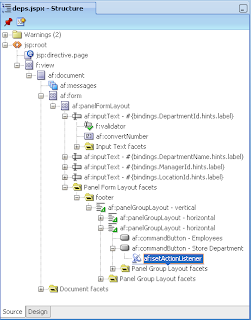 Of course, its not generic solution and should not be applied everywhere, it should be applied only if its really needed in specific case. 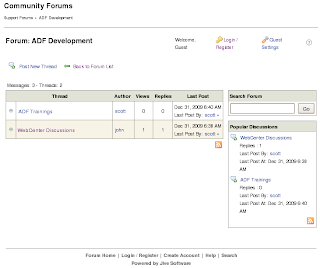 Everyone is familiar with various discussion services, for example OTN Forums. 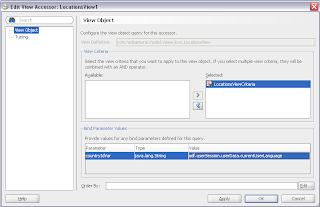 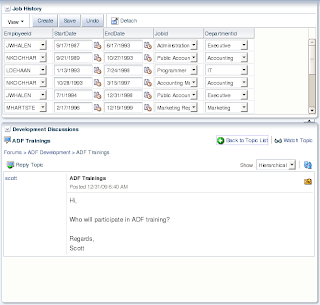 However, not everyone knows that you can use similar discussion services directly from ADF 11g application. 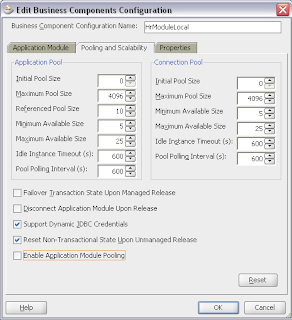 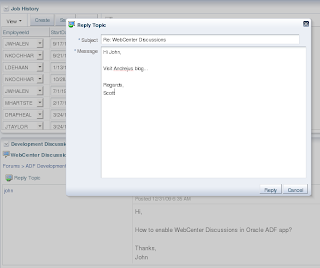 Today I will describe how you can enable WebCenter 11g product component - Discussion Services. 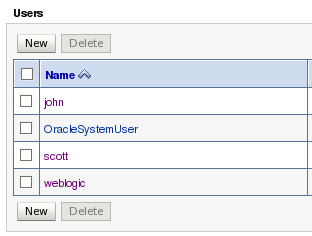 Before reading my post, I would recommend to walk through instructions available on George Maggessy blog - Oracle Discussions Configuration. 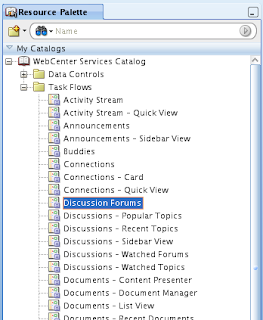 Also you should read Section 17.2.1 Setting up Connections for Discussions from WebCenter 11g Developer Guide. 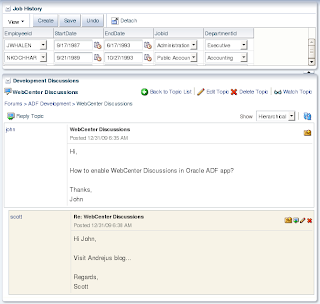 Download sample application for today post - WebCenterDiscussions.zip. 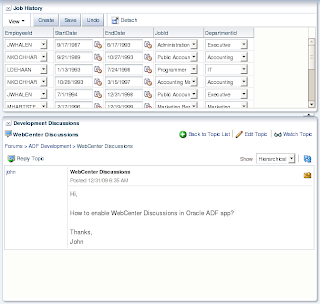 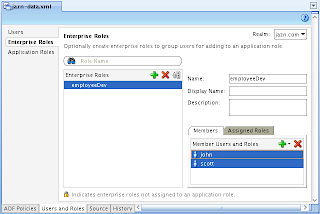 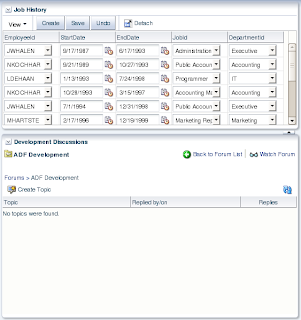 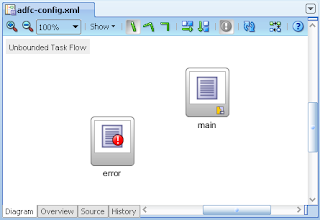 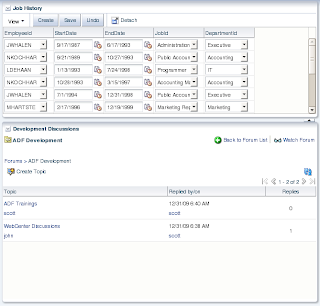 This application implements ADF table and Discussion Service from WebCenter server on the same page. 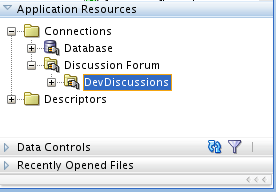 Before developer will be able to use Discussion Service, there should be defined Discussion Service connection in Application Resources. 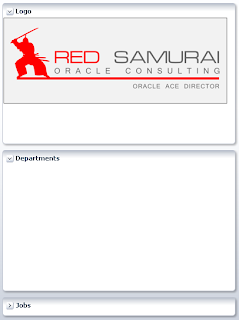 You can read about this in 17.2.1 section mentioned above. 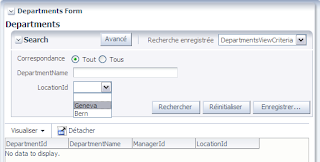 However, there is one trick with forum.connection.secure property. 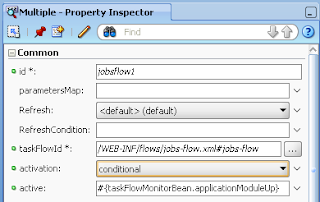 In that case, when application is protected by ADF Security, you must set this property to true and define additional properties. 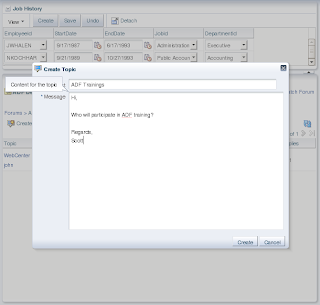 I know cases where same thing was working in JDeveloper 11g R1, but it didn't worked in JDeveloper 11g R1 PS1. 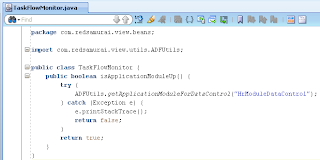 It is correct, because connection must be secured, when ADF application is protected by ADF Security. 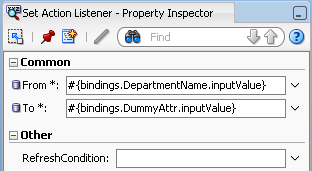 In the WebCenter domain home lib directory (/home/oracle/Oracle/Middleware/user_projects/domains/wc_domain/lib), create a file named keystore.properties.